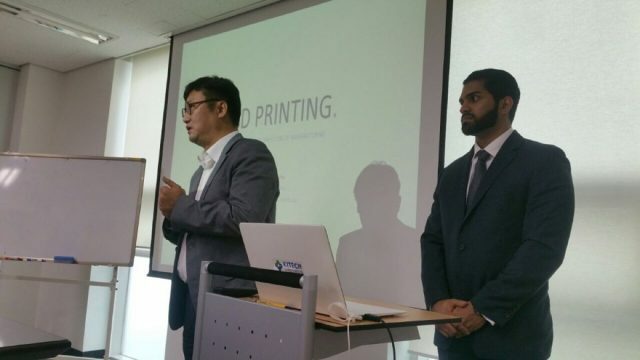 At the invitation of the Korean government, Kunal Varma, President and COO of EFESTO (http://www.efesto.us/), visited South Korea this past week. 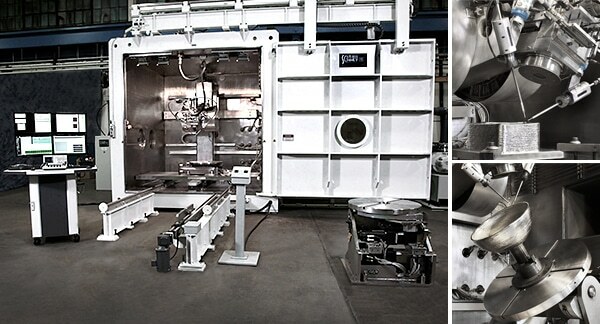 EFESTO, in addition to being an AM company in its own right, is a registered reseller of the Sciaky (http://www.sciaky.com/) large-volume EBAM (Electron Beam Additive Manufacturing) industrial metal 3D printers. Mr. Varma met with industrial leaders and researchers at the Korean Institute of Industrial Technology (KITECH) in Ulsan, South Korea to discuss possible sales of Sciaky industrial machines to South Korea. 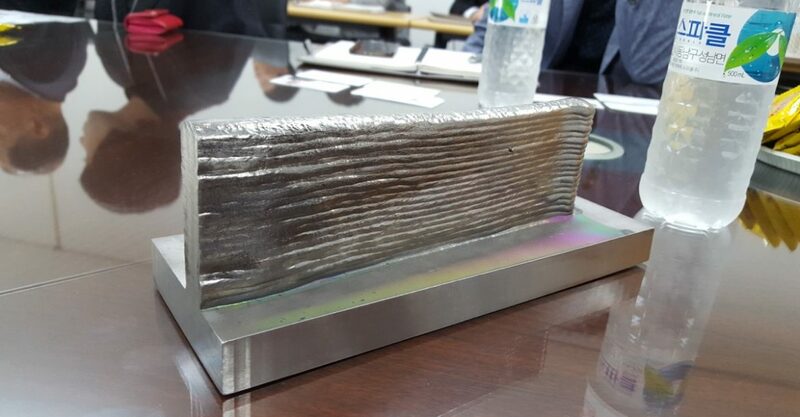 For those unfamiliar with the 3D printing/AM scene in South Korea, the city of Ulsan is quickly becoming the country’s epicenter of additive manufacturing. Hyundai Heavy Industries opened two AM research centers here last year, the South Korean Ministry of Trade, Industry & Energy is expected to spend $20 million over the next five years to assist business adopting AM technologies, and even the American company Local Motors signed an agreement to explore the possibility of building a new factory in Ulsan to build 3D printed electric cars there. This past week’s meeting is another step in this city’s growing leadership in the AM field. 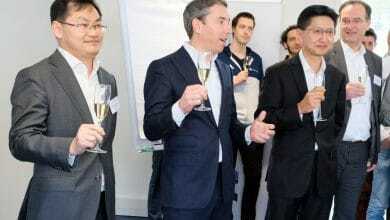 Attendees included researchers from the institute, professors from Korea Polytechnics University, and other business insiders…including William Joo (of Willybot fame). 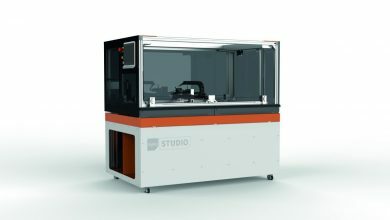 Mr. Joo has emerged as one of Korea’s leading experts on industrial 3D printing when, as Sentrol’s CTO, he guided that company’s entrance into the AM market in September 2015, by helping to develop their first industrial 3D printer, the SS6600 (https://3dprintingindustry.com/news/sentrols-new-slsslm-3d-printer-series-is-unveiled-in-seoul-56996/). Mr. Joo made some introductory statements, acted as the meeting chairman, and introduced Mr. Varma. Mr. Varma gave a complete presentation outlining the Sciaky EBAM system, spoke about its strengths and weaknesses, and passed around two demonstration samples he had brought. 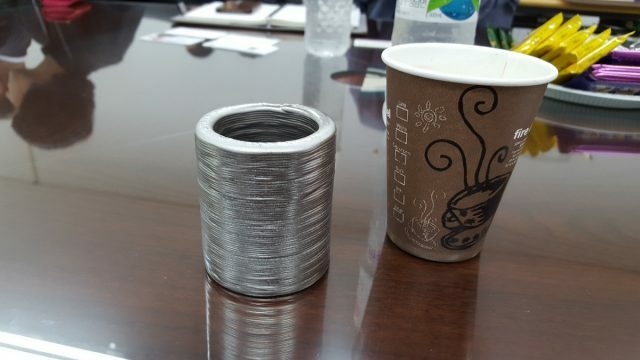 The first was a straight wall that he said took about one hour to print, the other, a small cylinder that took 15 minutes to print. 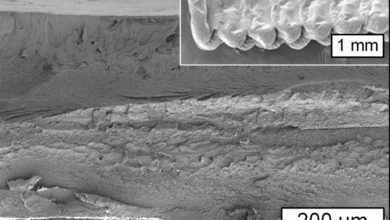 He noted the importance of Sciaky’s proprietary closed loop feedback system, IRISS (Interlayer Realtime Imaging & Sensing System), in allowing the Sciaky machines to produce such accurate and clean results as quickly as it can. Another point he made was that cost of feedstock for the Sciaky machines compared to other metal fabrication methods. 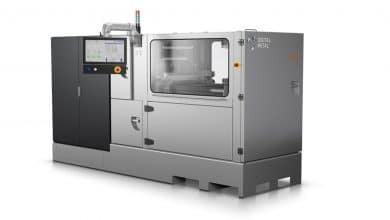 The EBAM machines use common welding wire feedstocks which are readily available and inexpensive, compared to the special metal powders of other methods. And since the machines use continuously operating vacuum pumps to create the controlled welding environment, it doesn’t need expensive masking gasses such as Argon (like SLS) to protect the fusion from oxidation. Lastly, he spoke about the machine’s size and its output ability. 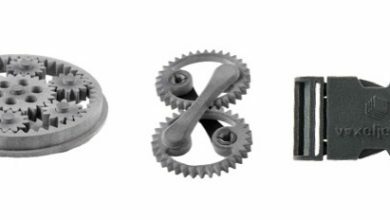 With build areas able to accommodate projects of about 2.5 meters in diameter, they are truly industrial machines, not just workshop prototypers. They are also one of the few machines that can easily handle refractory and other highly specialized metals. After the talk, the attendees asked a lot about the quality of the products produced, including weather the outputs are actually being used in industrial sectors, or whether they are only used for prototyping. Mr. Varma responded by pointing out a few cases where the outputs are used directly, such as Lockheed Martin’s use of the machine to fabricate propulsion fuel tanks for its aerospace division. Both organizations from KITECH and Polytech University showed strong interest in bringing the machine to Korea. However even with governmental support the machine, at roughly $4-5 million USD, seemed a bit out of their price range for now. Because new technology, at governmental expense, is always a political issue we will have to wait and see if governmental leaders can be convinced of the machine’s importance to the future of Korean manufacturing.